The stress of working needs to be soothed away with that long-awaited vacation in Timbuktu, the Caribbean, or Sipadan. Sun, sea and sand beckon to the weary soul and it is time to get together the right gear for that perfect getaway from the hustle and bustle of city life. In order to capture a piece of the action underwater, the DMX-CA100 waterproof HD camcorder by Sanyo should do the trick. The camcorder features some cool features for nifty photography in the depths of the sea. 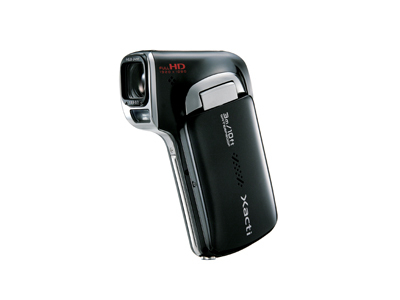 The camcorder can record images at full 1080 pixel resolutions. It can capture 14MP still shots and 22 photos in a row at seven frames per second with its sequential shooting mode. This should come in handy when capturing rare moments of sea creatures in action. The 12x zooming action also keeps the images clear and exciting for the armchair travelers back home. The camera meets IPX standards in 3m deep of water and can last for an hour. It captures images in both MPEG-4 AVC and H.264 formats. Available in yellow, pink and black, the DMX-CA100 should be the perfect reward for yourself if you have been working hard and want to reward yourself with a memorable vacation.